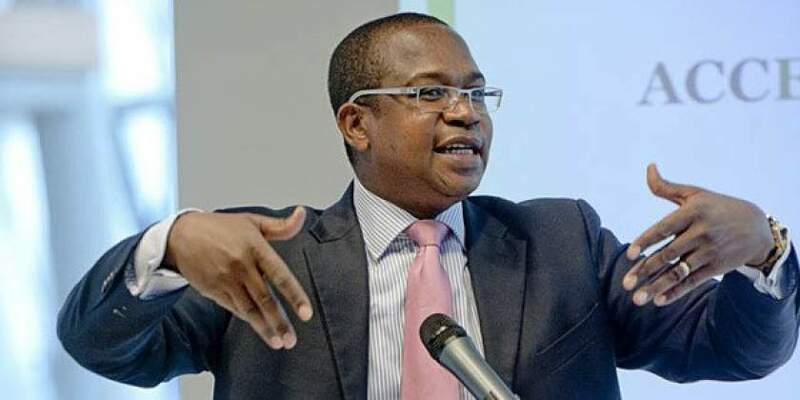 PRESIDENT Emmerson Mnangagwa's Zanu-PF party has registered disquiet over Finance minister Mthuli Ncube's 2% tax and the separation of RTGS accounts from nostro foreign currency accounts, blaming the measures, which are yet to be gazetted, for triggering economic chaos in the country. Zanu-PF hawks argue that Ncube did not consult adequately on the policies that have forced ordinary citizens into penury overnight although Mnangagwa this week said there was no going back on the measures and urged Zimbabweans to take the pain to correct the economy. At the heart of Ncube's challenge is government's unrestrained spending which saw its domestic debt rising from $275,8 million in 2012 to $9,5 billion currently, in addition to the external debt which stands at $7,4 billion. The 2% tax is meant to raise funds sat last week. "Yes that is what I have said. That we were not consulted and we think the current problems are tell-tale signs of teething problems of the new arrangement which Zanu-PF is working to resolve. "I think government is used to coming up with policies after their deliberations which it then pronounces. You will realise that Zanu-PF did not have a working system with permanent people, but the situation is different now and we have a functional structure that must be consulted before any policy pronouncement," Mpofu said. Regarding the issue of currencies and fears by Zimbabweans that they might lose their savings, Mpofu said indeed the party was worried. "We were worried, but we have heard that there are interventions including the one from Afreximbank to hedge all balances on a one to one basis with the US dollar," Mpofu said. "Government's economic transition and stabilisation programme is another intervention and we hope to get more information from the minister (Ncube) on his return. We support all interventions to address inflation and related issues." Mpofu on Wednesday told journalists at Zanu-PF headquarters that "The so-called new financial reforms which have caused price hikes and the response you have seen from business were done without consultations and Zanu-PF will not allow that." Harare businessman Arnold Mutsondi last week gave government a 14-day ultimatum to reverse the tax or face a Constitutional Court challenge. Zanu-PF spokesperson Simon Khaya Moyo (pictured) said there had been a "communication problem" between the party and government. "There could have been a lapse in communication, but now there is no conflict. The minister indicated to the nation that the tax will only be implemented after it is gazetted and we are happy with that. "The party is also happy that there are safeguards to protect the vulnerable through exemptions. "We expect that government will follow due procedure and exhaust all legal processes before implementation," Khaya Moyo said. "The minister has the full support of the party but there must be realisation that the party was supreme." Zanu-PF chief whip and politburo secretary for youth Pupurai Togarepi said his wing was in support of the austerity measures. "We are in total support of the austerity measures. There could be short-term shocks as expected in any transformation, but we are certain this will bring a positive net effect to the economy. In any economy you have some unexpected mismatches which will clear in the near future," Togarepi said. While reports have claimed Ncube has faced resistance from particularly social services ministers, Information ministry permanent secretary Nick Mangwana said all was well. "The Minister of Finance has the full support of the whole government. Regarding Zanu-PF, please check with the secretary for administration or spokesperson," Mangwana said. The Law Society of Zimbabwe (LSZ) early this week added its voice to growing calls against the tax. "As the law stands, the minister's directive to all financial institutions, banks and Zimra (Zimbabwe Revenue Authority) working together with telecommunication companies to collect $0,02 per every dollar transacted is unlawful because it violates section 22G of the Finance Act. "The proper procedure for the amendment of a law (in this instance Section 22G of the Finance Act) is through Parliament as required by the Constitution, and not through a policy statement," LSZ said. Vice-President Kembo Mohadi in an address to the media following a Cabinet meeting this week said government was still working on the legal instrument to operationalise the tax. "Cabinet has equally been briefed about the effects of the two cents per dollar tax on the market. We have also been briefed about the exemptions and government is now seized with fine-tuning the statutory instrument that will operationalise the tax. The two cents on the dollar tax is not yet operational so there is no need to panic," Mohadi said.